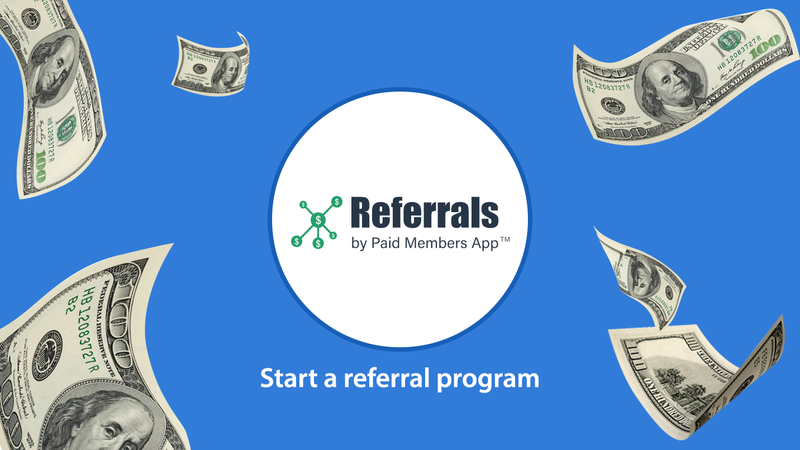 Referrals - Create an affiliate program! Increase your sales on your Weebly store through word-of-mouth marketing. Create unique coupons for each affiliate that she can email to friends or share via social media to bring new customers to your website. 10-day unlimited free trial. No credit card required. Watch your traffic and sales grow with your new automated affiliate program! For the first time, you can make a referral site with Weebly. 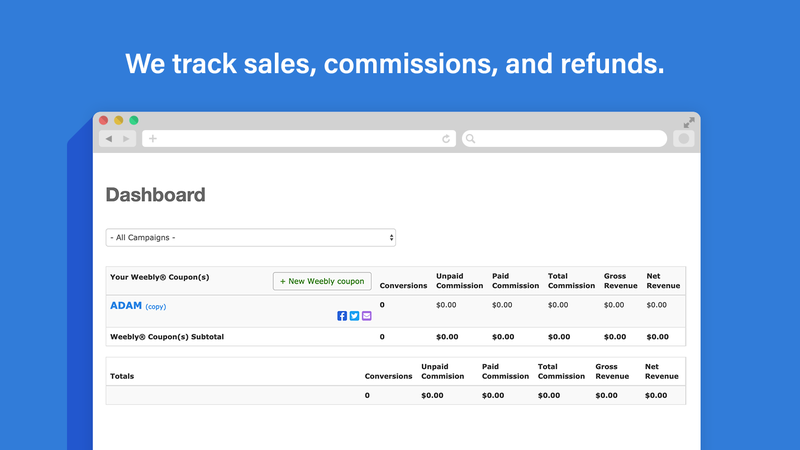 Generate up to three unique, customized, Weebly Coupon codes for each of your affiliates so you can track referral sales from each affiliate. Offer a flat dollar commission or a percentage commission to your affiliates. 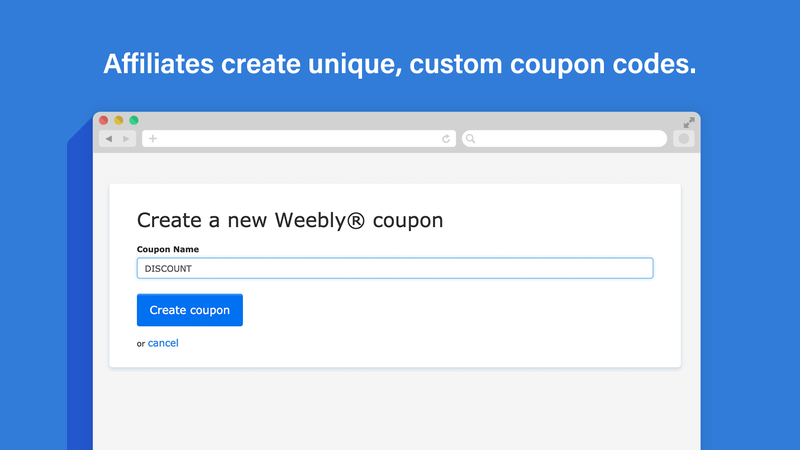 Your affiliates can even create their own custom affiliate coupon codes that are instantly valid in your Weebly store. You can sign up affiliates on our website or create a custom signup form on your Weebly website. We will generate a custom Weebly Coupon code for each of your affiliates. 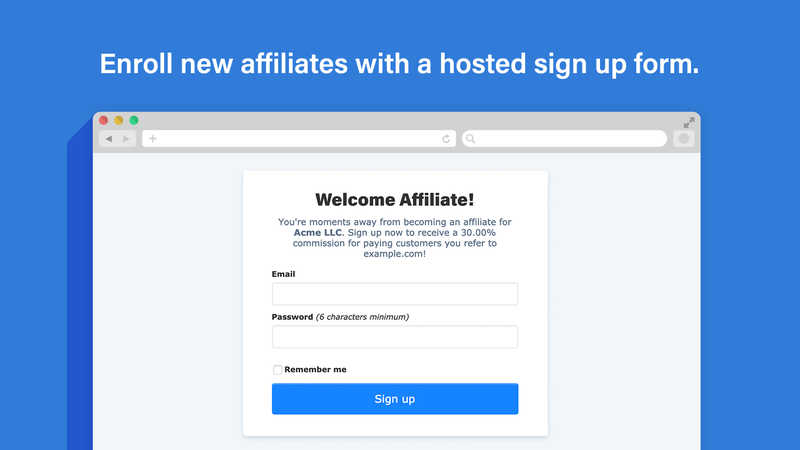 Each affiliates can generate up to 2 more unique, custom codes of their choice for a total of 3 Weebly Coupon codes per affiliate per campaign. Offer your affiliates either a flat dollar amount (e.g. $10) or a percentage (e.g. 30%) of referred sales - it's up to you! Get a unique URL for your business to sign your affiliates up to your campaign. We host the page for you! 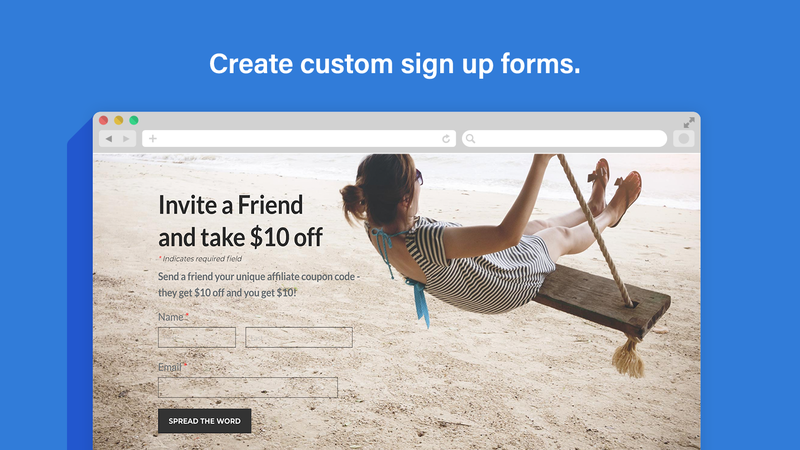 Create your own custom sign up forms on your Weebly website! Make as many campaigns as you like! You can use your custom sign up form and add your affiliates to one or multiple campaigns with one form!